One important part of the explanation for an apparently self-punishing choice is Russia. Many Greeks see Russia as a state that upholds its sovereignty and defies the EU diktat. This rosy view—centered on the idea of dignity—conveniently overlooks Russia’s aggression against Ukraine and its threats against the independence of the Baltic states. But never mind, what matters is Russia’s sympathy for their travails. This sympathy was richly supplied to Prime Minister Alexis Tsipras, who, in mid-June, took a break from the difficult negotiations with the Brussels bureaucrats to attend the St. Petersburg economic forum. 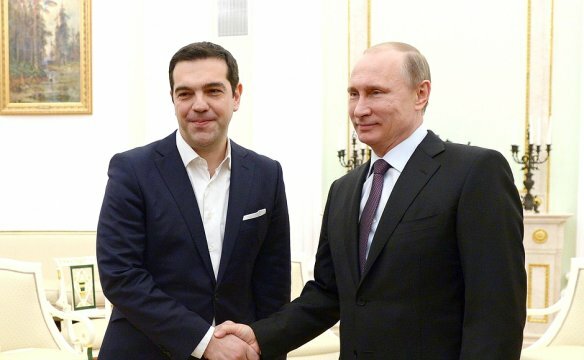 He returned with no financial aid, which Russia is incapable of providing, but with a promise of a new gas pipeline to channel Russian gas to Europe through Greece. The promise is cheap, since the hastily conceived and hugely expensive project will probably never materialize (not to mention that Turkey is less than enthusiastic about the route). Nevertheless, to the desperate Greeks, it appeared the best hope for escaping the clutches of their European creditors. Read more at the Bookings Blog Order from Chaos, where the full text was published 8 July 2015.